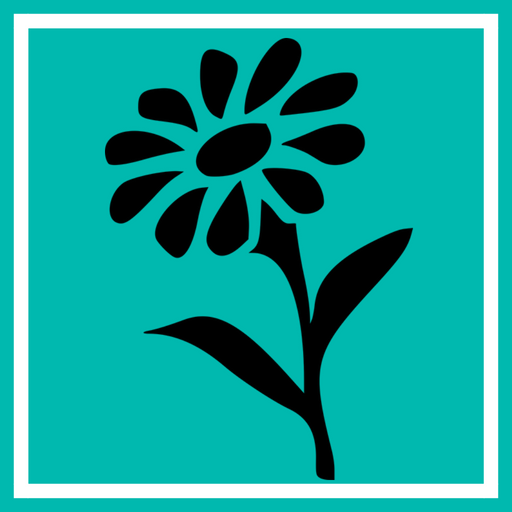 Several of you who follow me on Facebook and Twitter or subscribe to my kindness blog might know that my mom has been battling cancer. 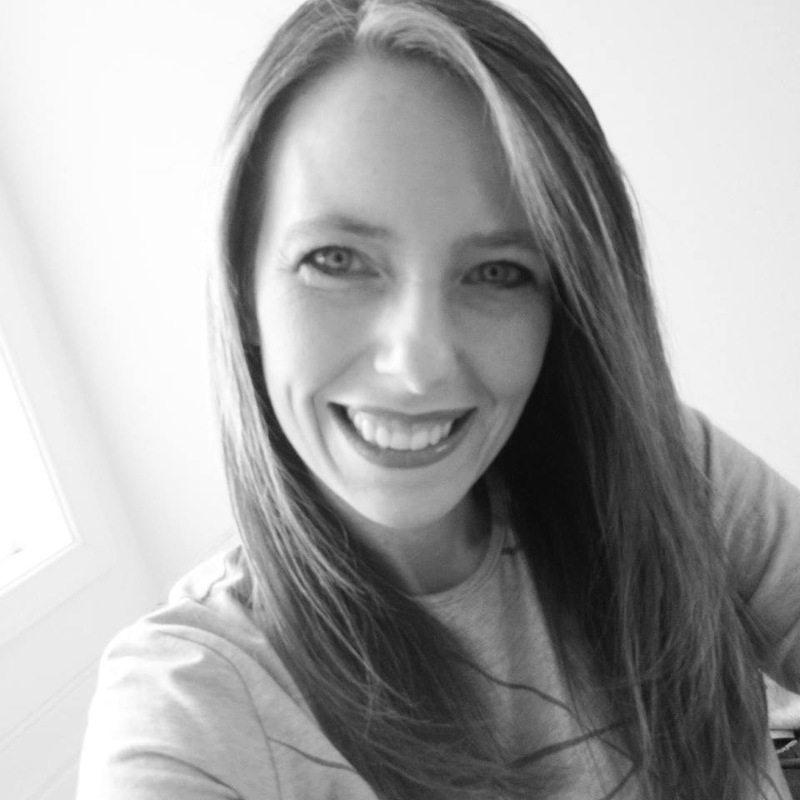 She is twenty-two months into a journey that, without treatment, would have ended in two. My mom is a fighter. She was hospitalized last week with breathing difficulties and since that time she’s gotten worse. We have always tried to celebrate joy in the journey as shown through my blog posts Yellow Brick Road (8/13/15) and Taking Care of Business (4/29/16) as my mom has wanted to share her experiences with terminal cancer publicly, the good and the bad. This week was filled with both. I have known my mom for 44 years and in that time I can attest that she is a spitfire in spirit. This week she had to make some really difficult decisions that brought tears, sadness, and heartache. One might think that this is where the story ends, but oh… it’s only the beginning! We have already lived countless moments of joy and I want to share more stories with you. 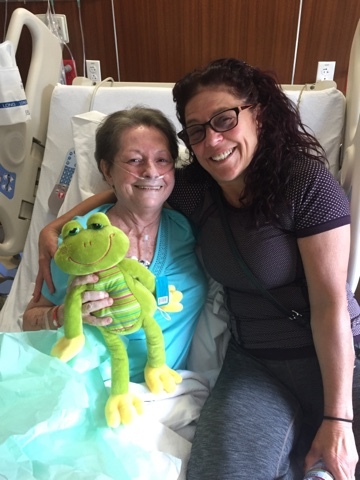 On Wednesday, my mom was strong and courageous. We celebrated by making orange sherbert smoothies in her hospital bed at the suggestion of her favorite nurse, Jessica. She drank three cups! This was an amazing feat to accomplish as her appetite is non-existent these days and it’s very difficult for her to swallow. We also love to take selfies. Thursday was her first day of radiation treatments. She has already finished three complete rounds of chemo and tried immunotherapy. She will have one treatment each day for up to ten days, as long as her body can tolerate the side effects. 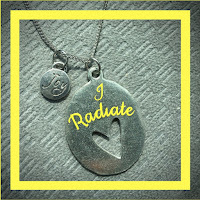 I wanted to do something extra special for this milestone so I asked my friend Holly if she could print “I Radiate” on something my mom could wear. As a bonus, I asked if she could add a sunshine image, too. Holly then insisted that I take this necklace as a gift for my mom, and ultimately for me, so I will always remember the joy in the journey. She wanted nothing in return but moments of memories to share. My mom couldn’t wait to wear it around her neck. This week has been tough, but I’ve had amazing moments of kindness shown to me and my mom. Her husband, Bob, and best friend, Debbie, bought her new pajamas. She has more candy and crossword puzzles than she knows what to do with and I brought her new pens to write with because we share the same obsession for school supplies. Her Facebook post on Wednesday was sweet and sincere, welcoming “short friendship visits.” One person who stopped by on Thursday was a dear friend of mine from high school, Pam. Three years ago to the day, she and I took smiley faced balloons to hospital patients in memory of her mom who had passed away years ago; this year she brought one to my mine. My coworkers have shown kindness in a multitude of ways. Several have reached out with offers of transportation, food, and “call me if you need anything” emails and texts. My boss has been amazingly kind and understanding. Krista and Suzi covered my bus duty two days in a row and Kim oversaw my Open Lab time on Friday so students can put the final touches on their Kindness Passion Projects. I even received an email from Ellen, who was home recovering from surgery. I had signed up to bring her family a meal on Friday; she politely reached out on Thursday to refuse my meal so I could take that time to spend with my mom. Because time is precious, especially now. And who could resist spending time with a lady who radiates from inside and out? I’m sharing experiences as a mom and daughter on Family Friday – subscribe below so you never miss a post!